Being the Bond fan that I am it was only a matter of time until I returned to make another Bond themed top ten list, and this time I figured that his gadgets would be quite a fun one to write. For this particular list I have chosen to only include gadgets that actually belong to Bond, so for example you won’t see Rosa Klebb’s flick-knife shoes appearing on this list. Here’s a gadget that deserves to be remembered by more viewers than it is. 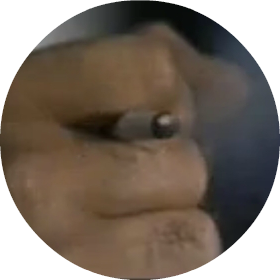 It makes perfect sense to equip Connery’s Bond with a cigarette that doubles as a weapon. 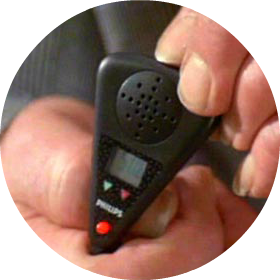 It looks stylish, it’s easy to disguise, and is a pretty believable gadget that sounds like it would genuinely useful for Bond – I somewhat wish that this had made a return in a later film. 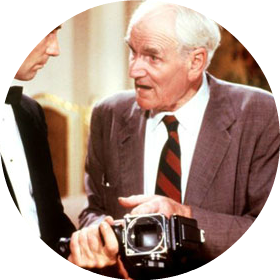 It may not be a great film, but Licence to Kill does include this pretty cool gadget; a gun disguised as camera, and one which only Bond can fire due to the optical palm reader on the handle. This technology in fact makes a return in Skyfall. I would argue that this is the best of Bond’s various watches across the years; they have had detonating pins in them, lasers installed, a video feed… but this Rolex comes equipped with an intensified magnetic field that is supposedly ‘powerful enough to even deflect the path of a bullet at long range’, although Bond uses it to unzip a woman’s dress instead. 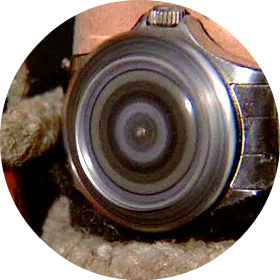 On top of that though, it comes fitted with a small buzz-saw which really makes it stand above the numerous other watches that have come and gone during this series. This small device simply allows its user to breathe underwater. It’s not the most over the top of Bond gadgets but scores points for its simplicity, and for fooling the Royal Corps of Engineers into thinking it was a real device! 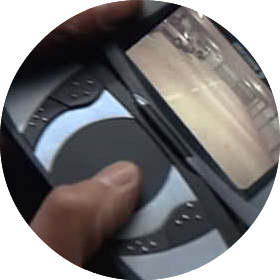 It’s also one of those rare gadgets that feature in more than one film as it reappears briefly in Die Another Day. 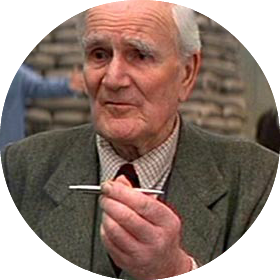 This device saves Bond in several different ways; it has a skeleton key which is useful, but it really comes into its own when Bond can make it emit a cloud of stun gas by whistling Rule Britannia and explode by wolf whistling. 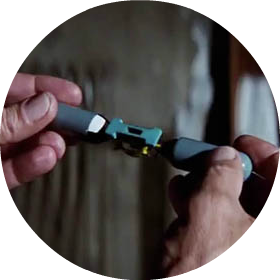 A quintessential Bond gadget that just had to make this list. It made an impression for one obvious reason, it’s a jet-pack and there are few cooler gadgets out there. It’s strange really that it features so briefly in Bond history, but maybe that is the very reason it is remembered so strongly. Phones have come a long way since this film was released, and yet they still can’t electrocute your enemies, scan fingerprints, or drive cars. The car chase in which Bond drives his BMW via his phone is one of the most inventive chases in the series, and a highlight of the film. 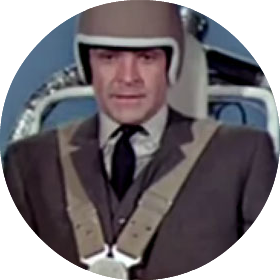 One of the most loveable (if such a word can be used here) gadgets in Bond history, Little Nellie is viewed fondly by most fans, and was a firm favourite of mine when I was a kid and first discovered James Bond. 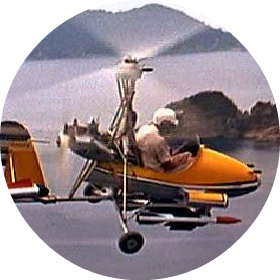 This gyrocopter is hidden away in four suitcases and boasts an impressive array of weaponry; unleashing Machine Guns, Flamethrowers, Rockets, Aerial Mines, and Heat Seeking Missiles against its foes! In first place comes what may be a controversial pick, Bond’s Attache Case from From Russia With Love. This is in many ways the first true Bond gadget, it contains hidden ammunition, gold sovereigns and a throwing knife, it holds a folding sniper rifle, and if you don’t open it the secret way a tear gas cartridge will explode in your face. It looks smart, is cleverly disguised, and is very believable! Thanks for reading! Agree with me? Or do you think I got it all wrong? Let me know in the comments below! Great list! Love the exploding pen and Little Nellie. The sequence when Bond maneuvers his car in the garage in TND with the cell phone is amazing. Good job! Thank you! Oh the pen and Nellie are such good gadgets! They are also, I think, amongst the first Bond films I ever saw! Great films to start off with! Oh most certainly! GoldenEye is my favourite Bond film! It’s my favorite Brosnan entry with TND a close second. Martin Campbell re-booted the franchise successfully, not only once, but twice! I’d love to see him come back for another go. Also, Mendes will be the first director since John Glen to do 2 Bond movies back to back. I hadn’t realised that about Mendes actually! Yeah I’ve been hoping that Campbell will return, ideally after Craig steps down! That would be awesome! I love Campbell. I even forgave him for Green Lantern, lol. I always felt that Roger Spottiswoode should have come back. I thought that TND was a great entry. Yeah I wouldn’t mind him returning actually, TND was very action heavy but I do enjoy it. It would be interesting if Michael Apted came back (TWiNE), it’s a very unBond like Bond film, so I suspect it won’t happen. Oh yeah, even Apted’s entry had it very good moments but I felt the 2 lead actresses (The Bond Girls) were pretty weak and they felt quite small within the material and opposite Brosnan. Halle Berry on the other hand was a great match in DAD despite the lackluster reception that film gets. I would not have minded Apted giving it another go. If you have a chance, my friend, Michael, submitted a Bond film, on my blog. It is the “Movie I Love That Most People Hate” topic I have recently started. He reviews DAD. Check it out and let me know what you think. Thanks! I agree about Richards’ role, but I really like Sophie Marceau in that film! There still hasn’t been a great action Bond girl in my eyes, Berry and Yeoh come close, but aren’t quite there. That sounds interesting actually as I really like the first half of that film! I’ll be sure to pop over and take a look! I loved Famke for sure and I think that Olga Kurylenko saw a bit more action in QoS than Eva Green did in CR but yeah, Yeoh surely gave it the old college try in TND. Who, out of the classic Bond girls, do you prefer? I like so many of them, lol. Based on looks alone I’ve always liked Tatiana Romanova (FRWL), but as a character point of view then Solitaire and Tracey (OHMSS) are high contenders. I don’t know whether you count Maryam d’Abo’s Kara (TLD) as a classic Bind girl? But she is the one I normally refer to as my favourite out if them all. Do you have a favourite? Hmm good question…I liked Ursula very much and Romanova is a great classic beauty, too. d’Abo’s an interesting pick. I really liked her in TLD. I must say, though, that I really love both Bouquet (FYEO) and Honor Blackman from Goldfinger. Those 2 are tied in my book as my favorite Bond beauties, I suppose. Told you I like most of them, lol! I think just because d’Abo plays such a good Bond girl character, she’s realistic and really believable – which is rare in a Bond film actually. Oh I can understand those pics, particularly Bouquet anyway. I’m not such a fan of Blackman myself. It makes complete sense to me that you like most of them! What I liked about d’Abo is that she really held her own alongside Dalton. She didn’t allow herself to be objectified either. She was respected and was a formidable sidekick for Bond and she was very genuine in the role. I’ve always enjoyed her in TLD. Good pick! Yes she really did hold her own! Yes I think I’m right in saying that she is the only one not to sleep with him up until Quantum? Number 10 is awesome. An exploding cigarette? Just awesome. I know it’s pretty great isn’t it! I find it so odd that people tend not to remember it! How come you haven’t seen a lot of them? Not a fan or just not had time? Well my mom hates them, so when I was a pre-teen/young teen and she controlled most of the movies I saw, I never got to watch them. Then I got a little older and gave one a shot. It must have been somewhat close to 1999 because that’s the year Denise Richard’s started in The World is Not Enough. And I hated it. More precisely I hated her. Her turned me off from the franchise. I gave Skyfall a shot and have since seen Casino Royale as well. I might go back and watch the older ones at some point, but the inspiration hasn’t struck. Oh right… well i can understand Richards having that affect! Well if you are thinking about going back to the originals then I would recommend GoldenEye, From Russia With Love and The Living Daylights as three great ones to start out with! Great! No problem, I’m always happy to recommend Bond! 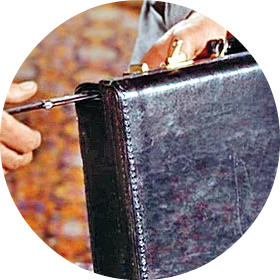 Great post, that attache case is a nifty gadget, isn’t it? Thanks, it certainly is! I’m glad you agree. I’ve always particularly liked the case for some reason!